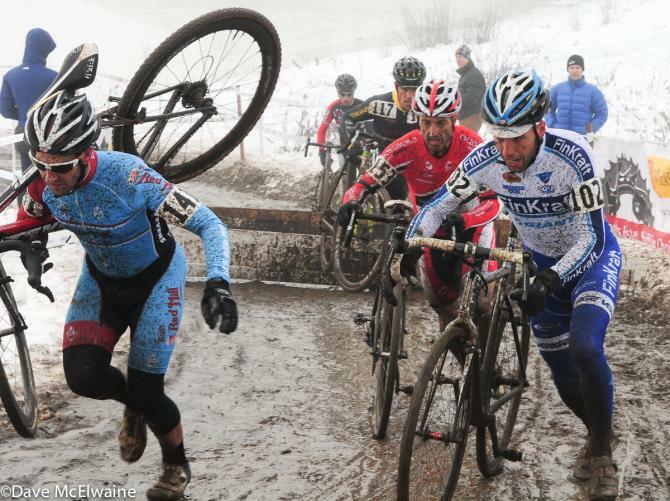 Cyclocross is one of the fastest growing sports in the US. As one of the few coaches that has had great success in racing cyclocross, Roger has the experience to bring your racing to the next level. Among his achievements, Roger has won the elite masters USGP in 2006, the 2008 M 40 US National Championships and most recently in 2013 M45 Roger was 2nd in the US Nationals and 3rd in the 2013 M45 Worlds as well.2015 5th in the M45 Cross Nationals , Texas and this year in Asheville 3rd in the M45 In addition, Roger has won numerous State Championships and titles in the New England series as well in the Mid Atlantic series over the years. Cyclocross is a passion for Roger and he knows what it take to be successful in cyclocross racing. There are a lot of different elements in cross; skills, techniques, equipment choices, tactics, nutrition, training methods and recovery. Detail is extremely important in cyclocross and with Roger’s experience as an elite racer, he will teach you everything you need to know in order to prepare for a race.If local, you will have the opportunity to train your skills hands on with Roger. If not local but still racing on the east coast (New England, Mac and USGP) you will still have a chance to meet with Roger (do some warm up laps, discuss race strategies, etc. ), because he will be there! As in any other discipline, FinKraft will make sure that you benefit from their training programs and you continue to make progress in your training and racing. We make constant adjustments to help you go from one level to the next with communication between the coach and athlete being the most important thing. Contact FinKraft today to see how we can help you reach your athletic potential and lead you down the road to cyclocross success!